Do you really need a drag & drop form builder plugin for your WordPress site? Well, when one can use the free version of WPForms or Contact for 7, why someone needs a paid WordPress form builder plugin? That’s the reason I thought to share a detailed review of WPForms and share every single feature to create a powerful contact form for your WordPress website. If you have any doubt about this plugin, then just have a look at the search results for the term “contact form”. It is clear that WPForms is a far better WordPress contact form plugin compared to Contact Form 7 as per the number of downloads & user ratings. You can use this link to download the lite version of WPForms plugin. Why You Need A Drag & Drop Contact Form Builder Like WPForms? What are the disadvantages of WPForms? If you have a website and you just need a typical contact us page with the basic fields, then I am sure WPForms Lite version is enough for you. But, do you think everyone is having the same requirement? When your contact or customers or audience is the key sources to drive your business, there is demand for highly interactive forms and that’s why you need a professional plugin like WPForms. Here are few of the things you can perform using a premium drag & drop contact form plugin like WPForms. Use the already built templates with loads of features. Ample option to customize your form as per your need. Add custom CSS codes on top of the existing templates to modify them as per your business need. Integrate payment options like PayPal smoothly and accept payments using your contact form. Handle user registration and design attractive login forms. Easy integration with email newsletters services like MailChimp, Aweber etc. Are you struggling to build a custom contact form for your WordPress blog or for your client? Are you looking for a highly secure contact form to enable a spam protection, payments integration etc? Then you are in the right place. Syed Balkhi, the famous pro-blogger of wpbeginner.com & the person behind the best email lead generation plugin, OptinMonster, has built this awesome contact form builder plugin for WordPress. Let’s start exploring these 28 points to find out why WPForms is the best WordPress contact form builder plugin in 2018. WPForms is the best WordPress contact form plugin. Here are the features that make WPForms the most powerful and user-friendly WordPress form builder in the market. 1.Drag & Drop Form Builder: This plugin will provide users an easy to build WordPress contact form with a solid framework where users can make the form by simply doing drag & drop kind of activity, without touching any code. 2.Form Templates: There are many useful pre-build form templates already included in this plugin. You can use any of the basic templates and fulfill your requirement. 3.Responsive Mobile Friendly: Responsiveness is the key demand of every web application nowadays. Wpforms are building with 100% responsive feature so that it works on mobile, tablets & desktop or any kind of device. 4.Smart Conditional Logic: Highly configurable with easy to create high-performance forms with smart conditional logic. 5.Instant Notifications: This form is very quick in response. Capture the lead and then provide the necessary auto-responds instantly. 6.Entry Management: The admin panel is highly efficiently made so that you can view all leads at one place and then accordingly you can streamline your workflows. 7.Multi-Page Forms: Planning to build a multi-page form to capture various details of users step by step? Then WPforms WordPress plugin will make your easy as you can easily split long forms into multiple pages to improve the user experience. 8.File Uploads: Want to provide a file attachment feature with your contact form or resume upload form then use this awesome plugin to allow users to upload files and media with their form submissions. Make your job board website easy for students to upload their resumes online. 9.PayPal Addon: Now link your payment form with Paypal to collect payments online and give your online business a new life. Easily collect payments, donations, and online orders with our PayPal addon. 10.AWeber Addon: If you use Aweber as your email list building tool then you can easily create attractive forms and integrate them with Aweber to provide a great professional sign up form. Not only that, you can create MailChimp signup forms in WordPress to grow your email list. You get rid of free MailChimp sign up form and build a professional looking subscription form easily. 11.Spam Protection: Spam protection is the ultimate feature of any contact form. This WordPress plugin will create highly secure and spam protection enable forms to keep your website safe & secure. Smart captcha and honeypot automatically prevent spam submissions. 12.Easy to Embed: After creating beautiful forms one can easily embed the forms in blog posts, pages, sidebar widgets, footer, etc. 13.User Registration: WPForms user registration add-on allows you to create a custom WordPress user registration form, connect it to your newsletter, and collect payments. 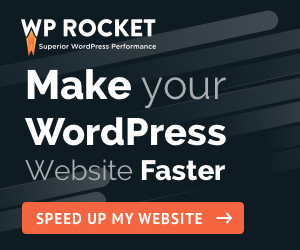 14.Stripe Addon: WPForms’ Stripe addon allows you to connect your WordPress site with Stripe to easily collect payments, donations, and online orders. 15.Constant Contact Integration: WPForms Constant Contact integration allows you to create Constant Contact newsletter signup forms in WordPress, so you can grow your email list. 16.MailChimp Addon: With MailChimp add-on, you can easily create an awesome MailChimp sign up form and collect your visitor’s email. If you want to grow your email list, then you have to create a good looking & attractive email subscription form. 17.GetResponse Addon: If you are using GetResponse for email list building, then you can easily integrate with WPForms and create awesome GetResponse newsletter signup forms in WordPress. 18.Drip Addon: Drip is one of the most popular tools to create series of automated emails. This tool is specially used for sending recurring training or free course sessions to your subscribers. With WPForms Drip addon, you can create Drip newsletter signup forms in WordPress, so you can grow your email list. 19.Custom Captcha Addon: You don’t need a separate WordPress captcha plugin, as you can easily utilize WPForms custom captcha addon. Create custom questions or use random math questions as captcha to combat spam form submissions. 20.Geolocation Addon: If your online business targets geographical visitors, then you must use this awesome plugin. WPForms geolocation addon allows you to collect and store your website visitors geolocation data along with their form submission. 21.Zapier Addon: WPForms Zapier addon allows you to connect your WordPress forms with over 500+ web apps. The integration possibilities here are just endless. 22.Post Submissions Addon: If you want to write a blog post or publish an article in your blog without logging into the admin area, then you can use WPForms Post Submissions addon. This way you can easily accept the free content of your visitor’s without asking them to log in. 23.Surveys and Polls Addon: Creating an interactive survey can be a good thing for your online business. This way you will come to know what to do and what not as per the survey results. With WPForms Survey Addon, you can add interactive polls and survey forms to your WordPress site. It comes with best-in-class reporting to help you make data-driven decisions. 24.Signature Addon: WPForms Signature add-on makes it easy for users to sign your forms. This WordPress signature plugin will allow your users to sign contracts and other agreements with their mouse or touchscreen. 25.Easy to Embed: Using a sign-up form or newsletter from within your content is a great idea to increase your email list. With WPForms, you can easily embed any form with the help of shortcodes. 26.Form Abandonment Addon: Do you know how many users leave your website, without submitting the contact form even after filling? This is a very common user visitors and this way every business loss many customers. But with WPForms, you can easily follow up with interested leads and turn them into loyal customers. 27.Offline Forms Addon: Most of the time users avoid filling up a long-form due to time constraint. But if you allow them to download the form and send it back later then it will really increase the conversion. With WPForms offline forms addon, your users can save their entered data offline and submit when their internet connection is restored. 28.Form Templates Pack Addon: Choose from a huge variety of pre-built templates for every niche and industry so you can build all kinds of web forms (Contact us form, Request a quote form, Donation form, Billing/order form, Newsletter signs up form) in minutes, not hours. With time, WPForm is trying their level best to accommodate as many features as possible compared to their competitors. And if you search, you will hardly find anything missing. But still, I feel there are 2 things they can consider. The free version of WPForms doesn’t have anything to experience the pro features. Maybe they can share some more features with limited access to give the user some experience. Although you will find integration with all major email subscription platforms, still they need to incorporate more such services as Convert pro etc. Based on different features & several add-ons, there are 4 types of WPForms subscription plans available. But, you don’t have to worry about the pricing as you can use the WPForms coupon code to get 20% instant discount. Here is the proof of promo code applied to the Check out page. You will also get a 14 days money back guarantee. There is no doubt that WPForms will give your online business huge power to interact with users and improve accordingly. If you are also using OptinMonster, then together you can rule your niche. Do write a comment below and share your thoughts about this WPForms review article. I would also like to know if you find any other plugin better than this at this price tag. Remember, you are getting a special 20% off WPForms discount code. So, hurry up and start using a drag & drop contact form builder. The ‘pro’ version of this plugin for $199 promised conditional notifications. However, this functionality is NOT available. The free version is enough. Thanks Rich for your update. Anyway I have no idea about that as I am also using the free version of this plugin.